It cost $15,100,000 to build the Brooklyn Bridge. However, the initial tolls assessed for traveling over the Brooklyn Bridge recovered for New York City and Brooklyn the investments they had made for the construction of the bridge. It cost a penny to walk across the pedestrian promenade, two cents for a hog or a sheep, five cents for a cow or horse, and ten cents to drive a one horse wagon on the roadway. 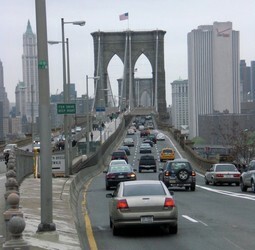 The Brooklyn Bridge made New York City the most important commercial metropolis in the United States. 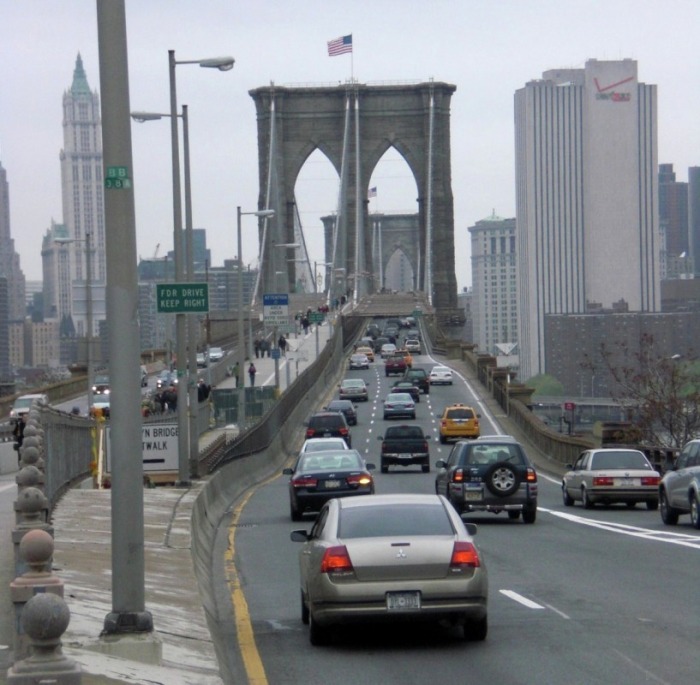 By connecting the independent cities of New York and Brooklyn, the Brooklyn Bridge transformed Brooklyn into a borough of New York City and increased Brooklyn's population from 580,000 inhabitants to 1 million over the 15 years since it was opened. 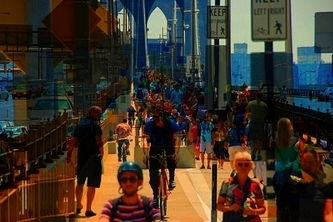 The bridge solved the problem of the lack of housing on the narrow island of Manhattan as people are now able to live in their homes in Brooklyn and commute safely and quickly to their jobs in New York City. As the Brooklyn Daily Eagle predicted in 1878, "We regard the future of New York, as the commercial metropolis of the union, as contingent upon the ability of these doing business there to obtain cheap, commodious, and desirable homes within reach of their business." The Brooklyn Bridge created one of the largest economic centers in the world by facilitating the safe transportation of goods and labor between these two metropolitan areas. Today over 137, 500 vehicles drive the bridge daily and over a million people walk or bike across the Brooklyn Bridge annually. At 276.5 feet over high water, the Brooklyn Bridge also stimulates economic maritime activity by permitting large commercial ships to navigate easily underneath the bridge.